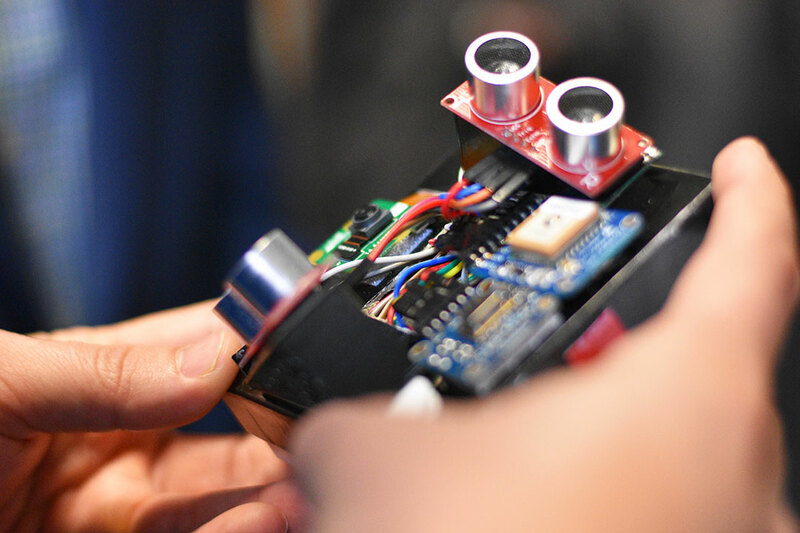 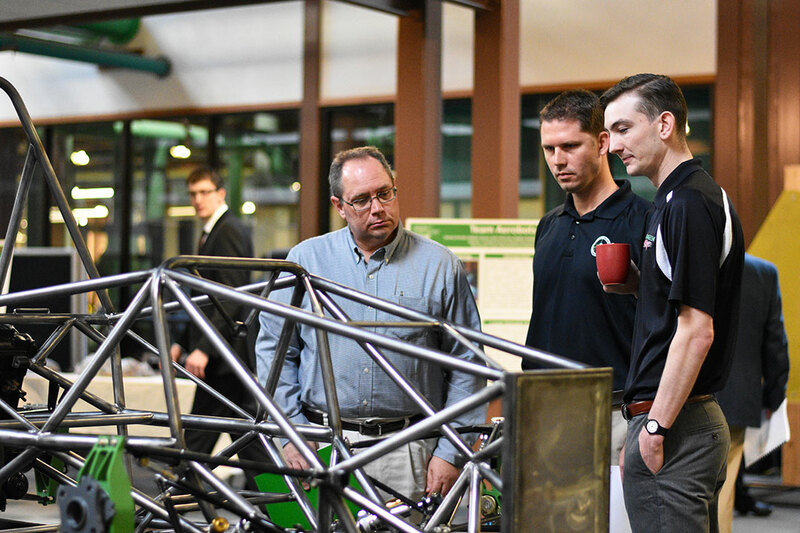 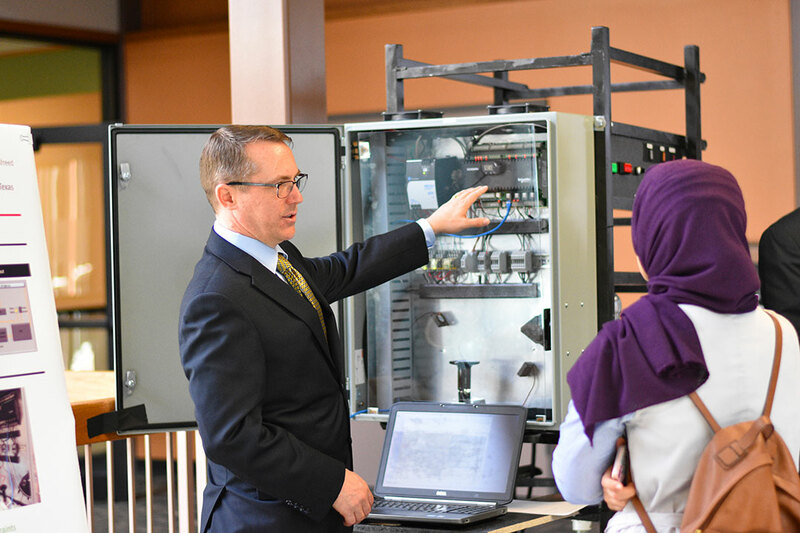 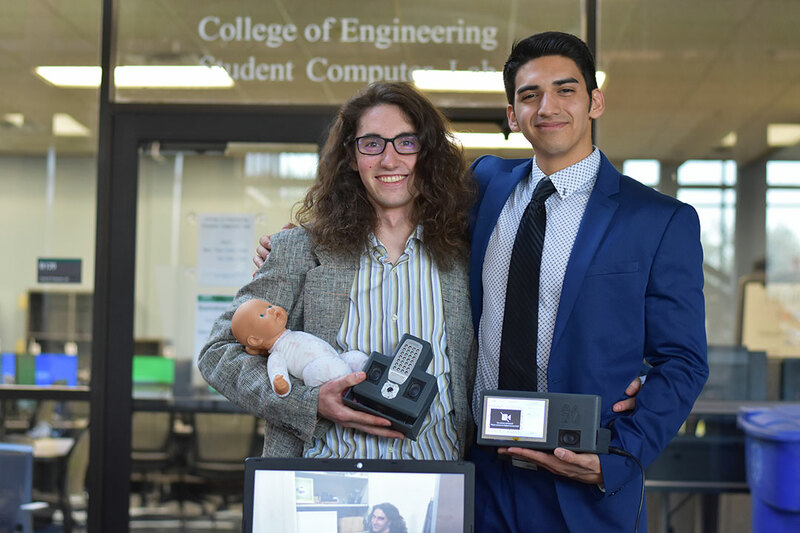 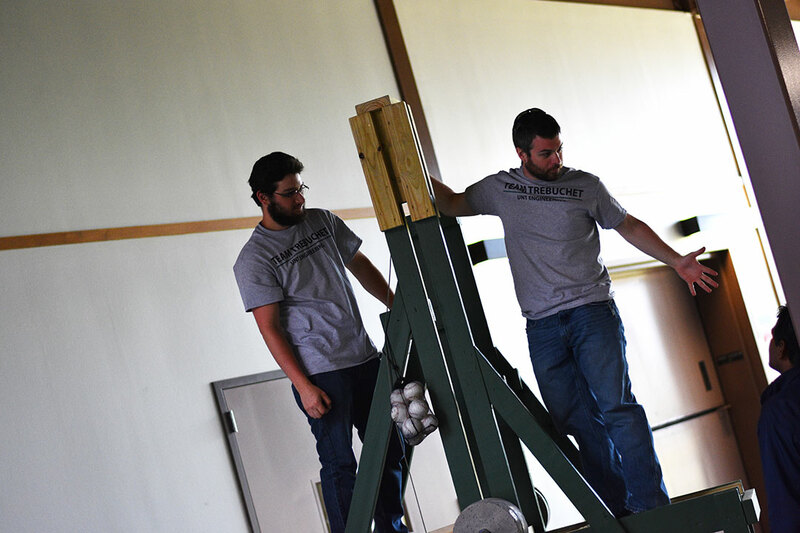 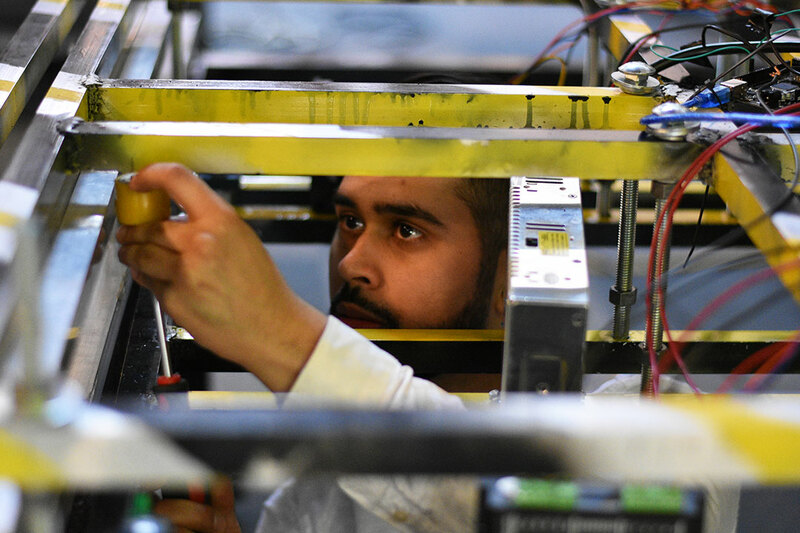 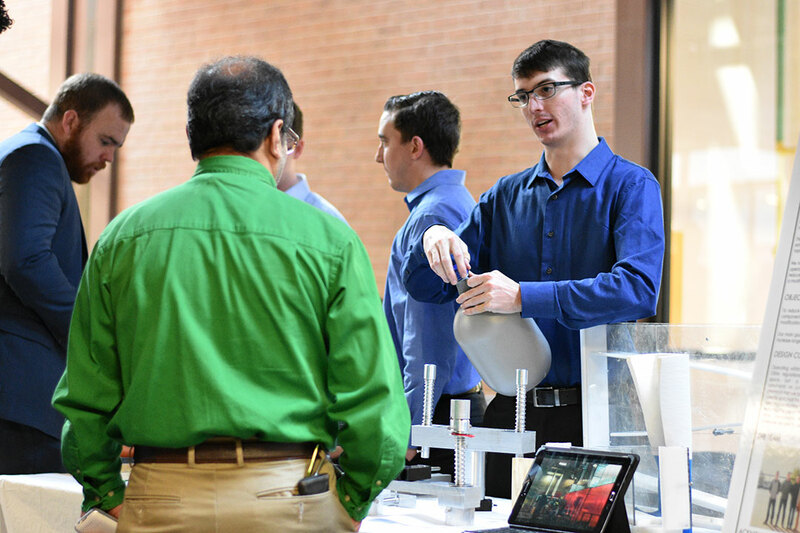 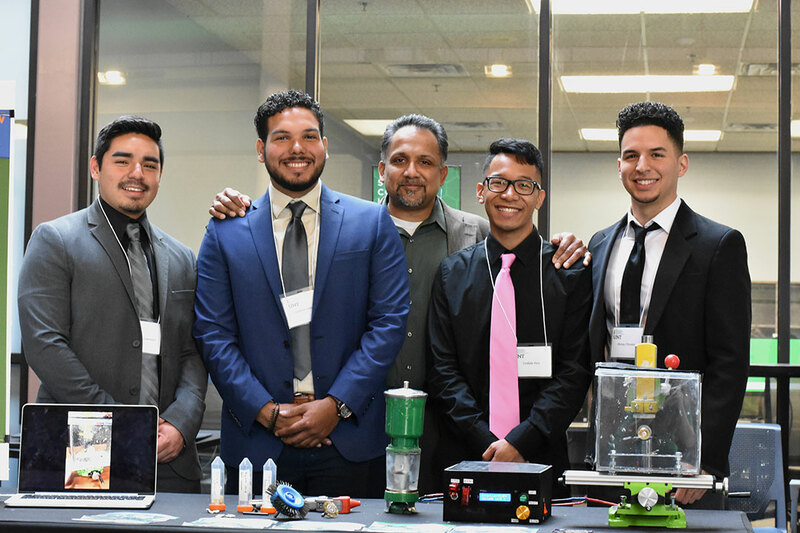 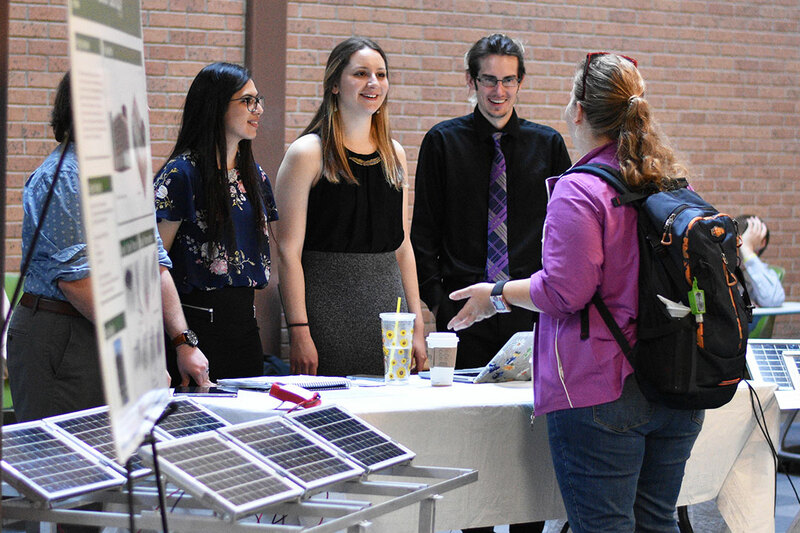 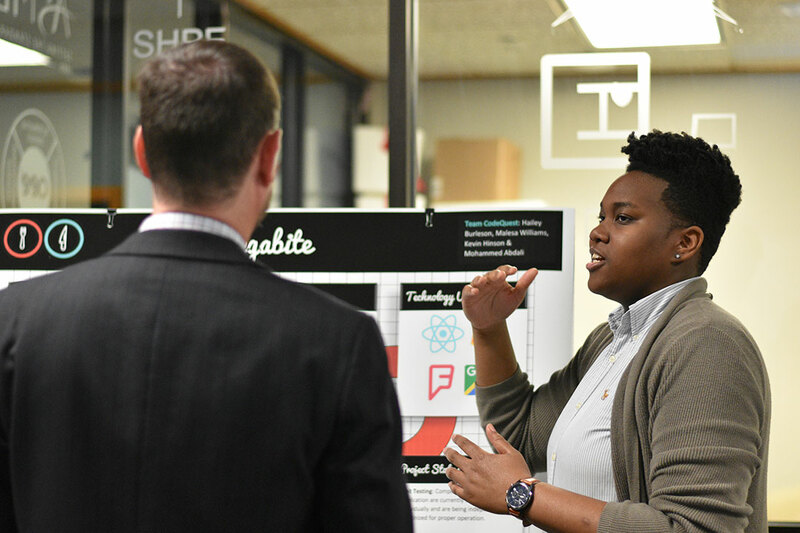 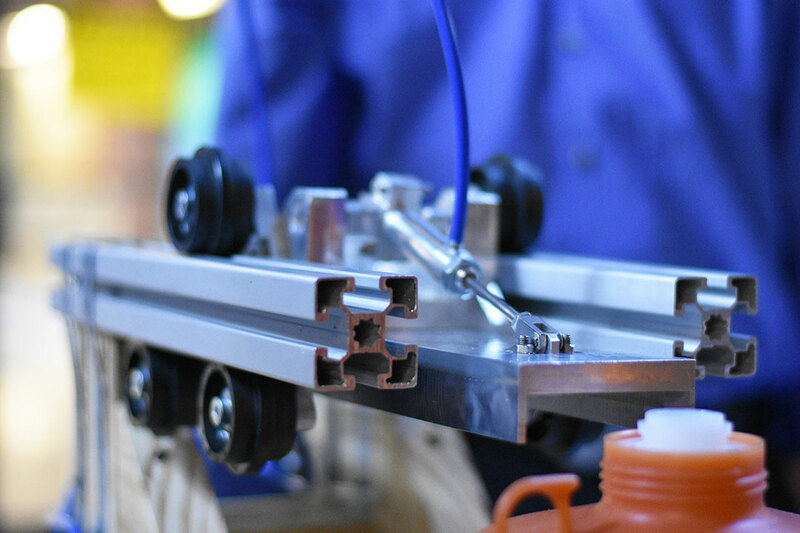 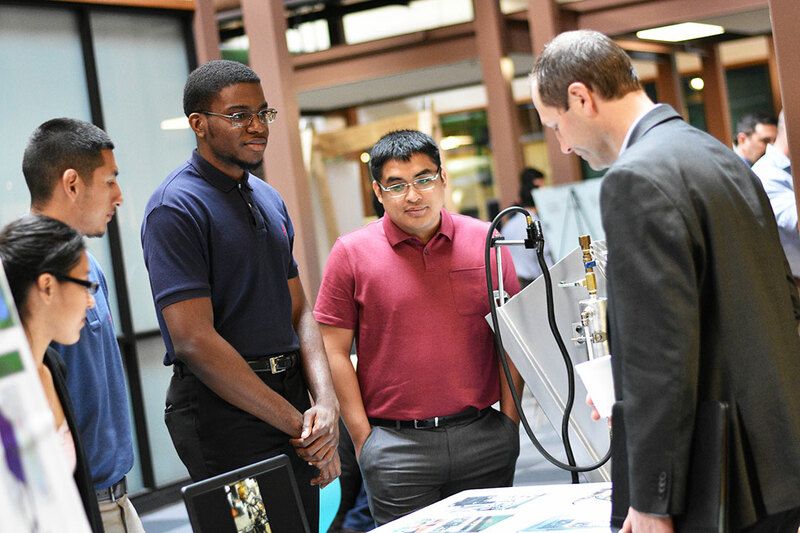 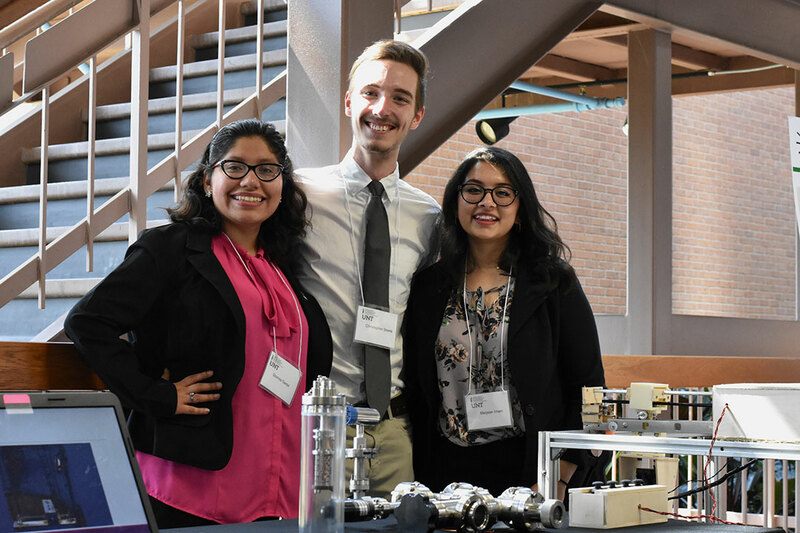 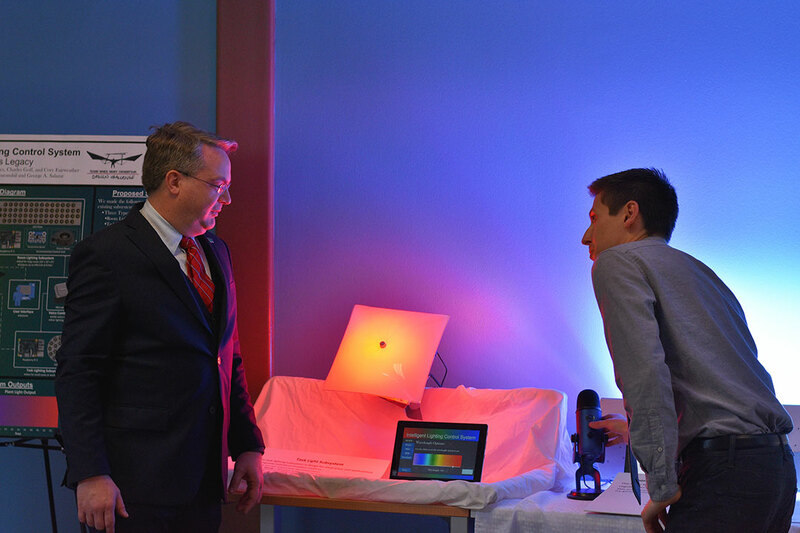 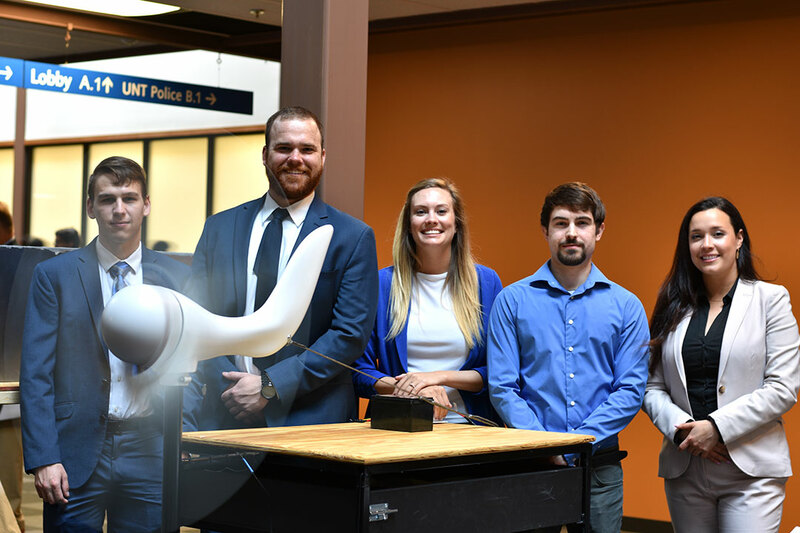 The College of Engineering’s senior design capstone, The Engineer’s Aerie, is a culmination of a student’s time here at the college. 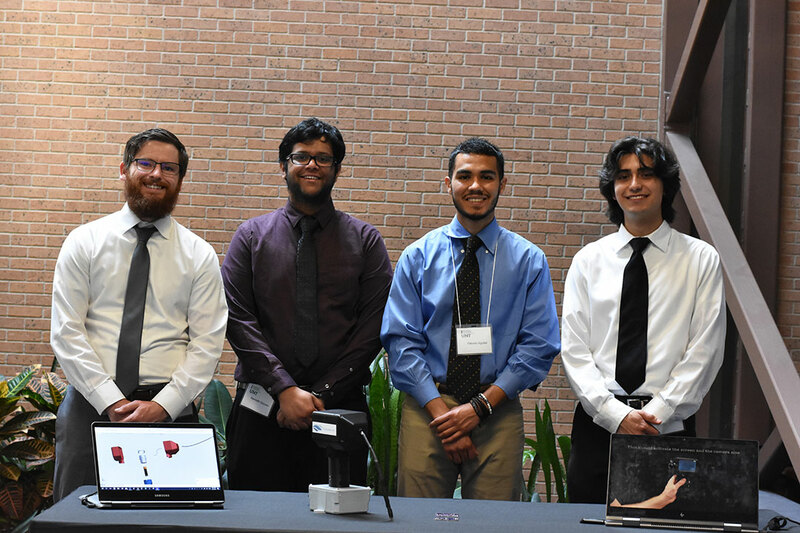 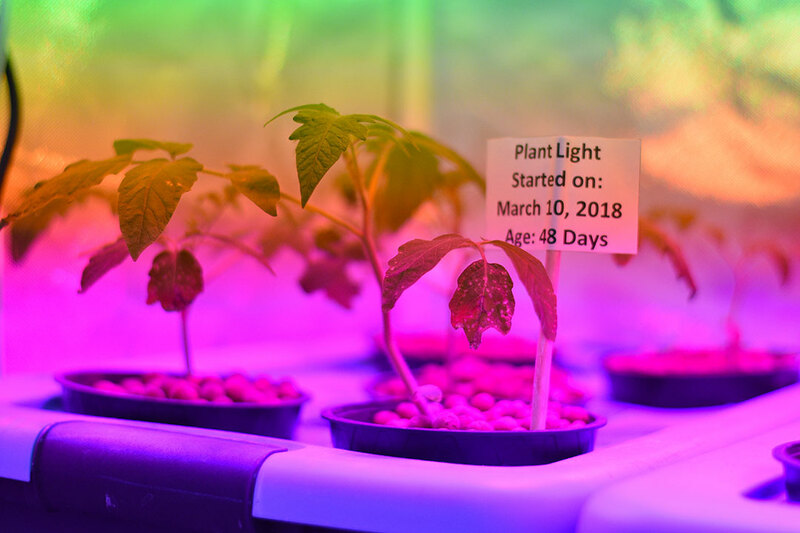 Throughout the project, students gain hands-on experience while working in a team environment and learn essential concepts such as project planning, designing, and scheduling. 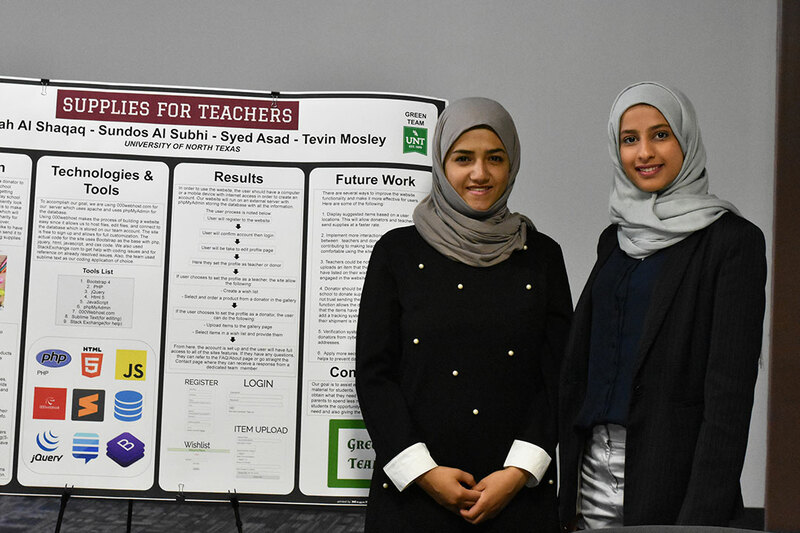 Student groups work in teams of 3-6 seniors and are led by a faculty member who is an expert in the project area. 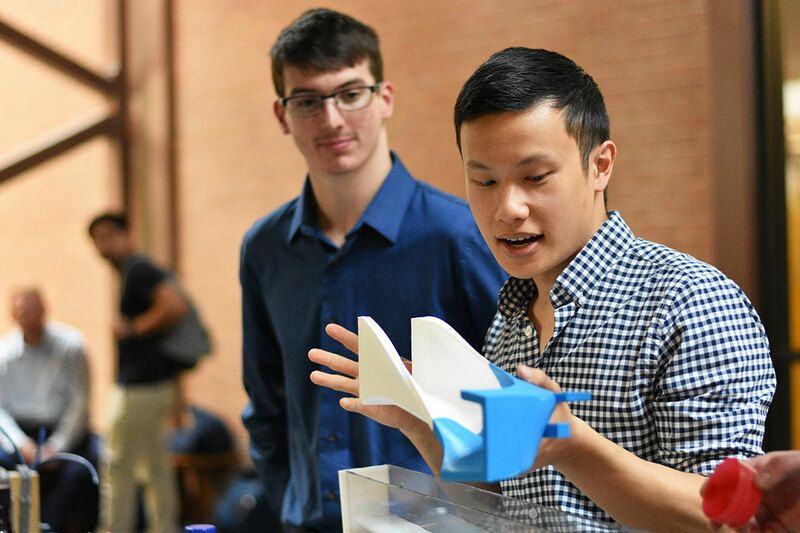 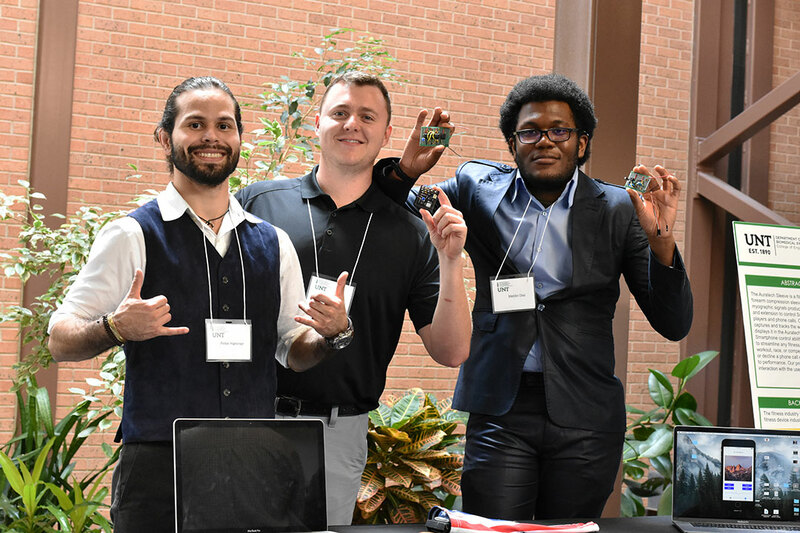 Through this team environment, students not only learn to collaborate with other members of their team, but also further develop their communication skills through a visual and oral presentation before an audience of peers, faculty, and industry experts at Design Day, held on the last Friday of April each year.